Top US Children’s Hospitals Host $30,000 Prize Event Highlighting Best Pediatric Tech Innovations; Industry Expert Judges Chose Winners. Keriton and Luminopia competed against 8 other companies representing the best in digital health and medical device innovation focused on the pediatric market. Congratulations to all 10 finalists and all companies focusing their businesses on improving the health and lives of children. Eight leading U.S. Children’s Hospitals – Children’s Healthcare of Atlanta, Boston Children’s Hospital, Cincinnati Children’s Hospital, Children’s Hospital Los Angeles, Children's Hospital of Philadelphia, Seattle Children's Hospital, Stanford Children’s Health and Texas Children's Hospital – came together to create Impact Pediatric Health, a one-of-a-kind pitch competition to help showcase, and support, the best pediatric health care innovations. These children’s hospitals lead the U.S. News & World Report “Best Children’s Hospitals” rankings. SXSW worked with these leading pediatric hospitals on the event which was part of Startup Village, http://www.sxsw.com/interactive/startup-village. 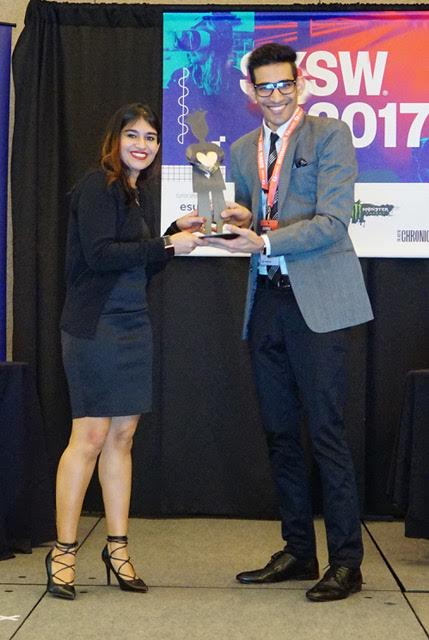 In its first year, 2015, Mark Cuban emceed and was one of the judges who selected CareAline as the best of 10 finalists of Impact Pediatric Health. Last year featured Steve Case, co-founder of AOL and Chairman and CEO of Revolution, as co-emcee, along with Dr. Jordan Shlain. 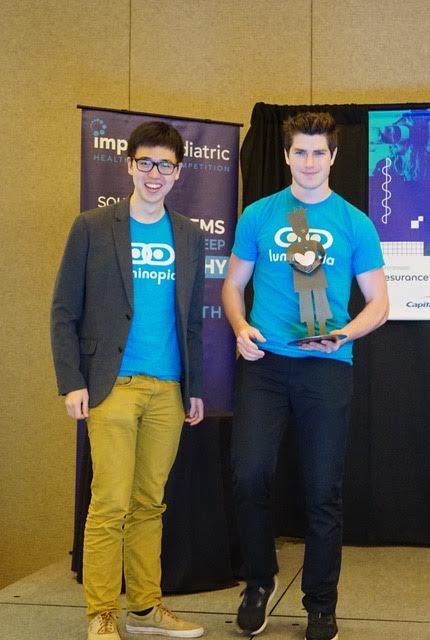 The emcees, and other judges, selected Cohero Health as the winner of the 2nd Impact Pediatric Health. This year’s event emcee was Daniel Kraft, MD, a well-regarded physician scientist who is Chair for Medicine at Singularity University, as well as Founder and Chair, Exponential Medicine. Dr. Kraft was joined by a host of industry expert judges, and representatives from each of the eight hosting hospitals, to evaluate the finalists. Impact Pediatric Health showcases technologies that will deliver solutions specifically created for young patients. The ten finalist startup CEOs had three minutes to pitch how their company is solving unique health care needs of children, from babies to teens. Impact Pediatric Health is proud to be one of the first websites to go live on a .health, the new domain extension for brands, organizations and people advancing the health industry. This event was possible thanks to the eight leading pediatric hospitals, as well as organizations like HopeLab and REDI Cincinnati that helps support growing biohealth companies in Greater Cincinnati. SXSW dedicates itself to helping creative people achieve their goals. Founded in 1987 in Austin, Texas, SXSW is best known for its conference and festivals that celebrate the convergence of the interactive, film, and music industries. The event, an essential destination for global professionals, features sessions, showcases, screenings, exhibitions, and a variety of networking opportunities. SXSW proves that the most unexpected discoveries happen when diverse topics and people come together. The Health Track at SXSW focuses on innovations that build and support the ecosystem of patients, providers, payers, policy makers, designers, entrepreneurs, and investors to improve outcomes in health and healthcare. SXSW 2017 will take place March 10-19, 2017. SXSW 2017 is sponsored by Esurance, Mazda, Monster Energy, Bud Light, Capital One, McDonald’s, The Austin Chronicle, and Sonicbids.